Vernee Thor Plus is a smartphone that looks to appeal to buyers who value slim design and awesome power. It features a humongous battery, large Full HD display, robust looking octa-core processor and ample RAM. The Vernee Thor Plus is one of those impressive affordable smartphones that don’t look shabby. It parades a slim, metal body. One can say its maker did a great job packing a high capacity battery into a device that measures roughly 7.9 mm and comes in at this price point. Vernee Thor Plus bundles in a 5.5-inch display having a resolution of 1,920 x 1,080 pixels. This is said to be based on Super AMOLED technology, which one can say is a factor in the slimness. The touch screen promises brilliant colours and sharp images. The primary camera has a resolution of 13 megapixels. You may expect this to supply quality shots. This comes with auto flash, face detection, and high dynamic range (HDR) features. On the front is an 8 megapixel sensor for selfies. Vernee Thor Plus offers an expandable 32GB inbuilt storage for keeping your photos and videos. Powering the Vernee Thor Plus is an octa-core MediaTek MT6753 processor running at speeds up to 2 GHz. It pairs with 3 GB of RAM. You may expect solid performance and nice gaming experience with this configuration. The phone boots Vernee’s own VOS software, which is based on Android 7.0 Nougat. The main selling point of the Vernee Thor Plus has to be the awesome battery with a capacity of 6,200 mAh! The juicer is rated capable of lasting roughly 20 hours of video playback. It supposedly lasts more than three weeks in standby mode! There is a fingerprint scanner embedded on the front for additional protection. You can use the dual-SIM smartphone on 4G networks for even faster browsing and downloads. You also get usual connectivity features such as Wi-Fi, Bluetooth 4.0, and microUSB 2.0 on the Vernee Thor Plus. Vernee Thor Plus is available in Nigeria, Ghana, and Kenya. The price starts at $129.99 at Gearbest. You can buy the smartphone at leading online stores in your country. 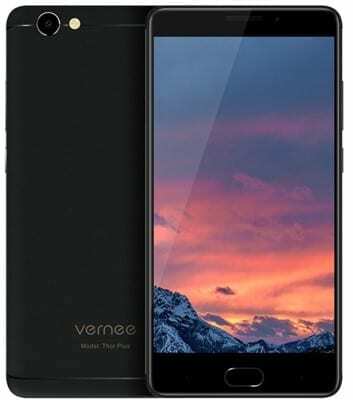 Vernee Thor Plus Price in Nigeria is expected to range from 49,500 Naira to 90,000 Naira.